Govan Law Centre (Charity SCO30193) was formed in 1995. It is an independent community controlled organization that tackles unmet legal need and areas of social disadvantage. It receives funding from various statutory and voluntary bodies. GLC is the largest community law centre in Scotland. The legal work is undertaken by the legal practice of Dailly & Co. All income from the legal practice is the property of the charity. GLC has a strong reputation in delivering high quality, innovative services to the most disadvantaged people in the community. 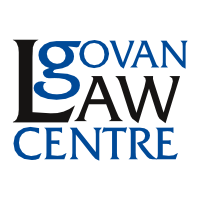 GLC has a branch office – Govanhill Law Centre which specializes in assisting the BME community within the area. Between the offices, GLC runs a team of 11 solicitors, 1 trainee and 4 Vulnerable Caseworkers providing homeless and benefits advice. GLC specializes in housing and homelessness, education rights, discrimination, employment, welfare rights and other areas of welfare law. GLC provides representation in courts, Employment Tribunals, Education Tribunals and Welfare Rights Tribunals. The dedicated team of solicitors and caseworkers offer a specialized and professional service providing assistance in over 3000 cases per year and over 1000 appearances in courts or tribunal hearings. GLC solicitors regularly contribute to legal publications and take part in national debates on legal reform. GLC is regularly asked to provide evidence at Parliamentary Committees and assists in drafting parliamentary bills. GLC is recognized as a centre of excellence and has won many awards for the innovative work carried out by the Legal Team and the services provided to the most vulnerable in society.